Home Personal Finance How Does PayPal’s Acquisition of iZettle Affect Digital Payments? How Does PayPal’s Acquisition of iZettle Affect Digital Payments? The world of financial payments shifted slightly as payment company PayPal purchased iZettle, the Swedish equivalent founded in 2010. PayPal has spent a pretty penny – $2.2 million – on the Swedish company. iZettle is the financial technology company that created and revolutionized the use of a mini chip and pin device for mobiles, with its primarily focus on small businesses across Europe and in Latin America. PayPal is aiming to increase its offering and its uses for small businesses and hopes that the acquisition of iZettle will aid in this endeavor. Does the acquisition mean that financial payments are going to continue to grow and even take a new direction as we head into 2019? iZettle’s chief operating officer claims that “iZettle brings a suite of products and services that allow merchants to meet their customers where they are—online, in store or via mobile.” This is a coup for PayPal as it allows the company to further achieve its goals with smaller businesses, especially those who might use mobile ways of payment. The acquisition also comes with another caveat: Chief executive officer and co-founder Jacob de Geer will continue to helm the project. With the success of what iZettle has already achieved and the injection of influence and cash that PayPal offers, the pair will be able to steam ahead and change how we look at financial payments. 162 retailers in the Internet Retailer Top 1000 have signed up to PayPal and offer it as a payment method. Altogether, 223,362 companies are reported to use PayPal, which helps it command a 19.69% market share in digital payments, including to online retailers from Abercrombie & Fitch and Advanced Auto Parts to Spartan Stores and Zara. Smaller businesses also benefit from the trust signals offered by this recognizable name in payments, such as stores that run solely through small business platform Etsy. Industries that focus on financial transactions also use PayPal, which adds security to the user to be using such a trusted payment method, including Betway, who accepts PayPal payments at its online casino. 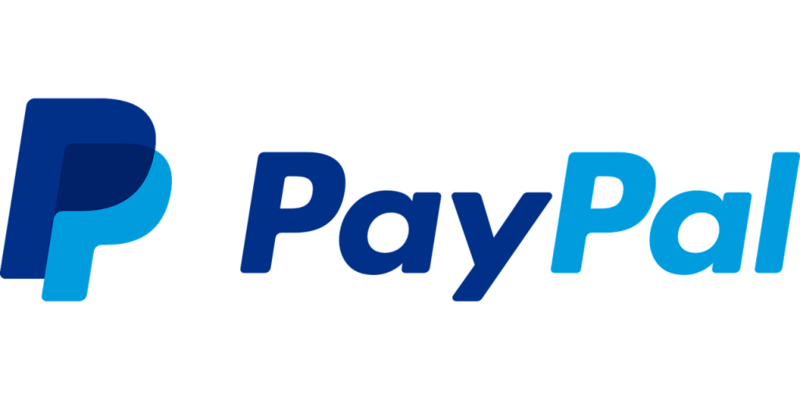 PayPal has even been used by charitable organizations to accept donations, such as the Red Cross, which offer the online function to save money on those collecting in person and on the street, showing PayPal’s multi-faceted use as a digital payment method. PayPal even offers options for friends to transfer funds to one another, and can be especially useful in assuring trust when making or receiving a payment. The fact that PayPal signifies trust shows how integral it is to our digital payment options. PayPal only broke away from eBay in 2015 (yet still remains a payment option on their platform until 2023) As such, the companies have been gradually unspooling from each other to find new opportunities. It was arguably PayPal’s ease of payment that led to eBay’s astounding success as much as it was the marketplace functionality of buying and selling online. Despite eBay’s huge influence, PayPal isn’t worried about its loss of business, especially as the small businesses they are helping are course-correcting any lost revenue from eBay. The first quarter of 2018 saw PayPal exceed analysts’ expectations on what it earned, bringing in revenue of $3.69 billion compared to the expected $3.59 billion. PayPal’s beginnings as Confinity didn’t anticipate that it would reach such heady heights as the defining digital payment option. There is healthy competition, of course. Online shop platforms offer their own payment services, which are specifically designed for smaller businesses, while PayPal offers more of a broad church solution. It seems that in the battle for digital payment option supremacy, the small businesses will play the deciding role. Digital payment methods have moved on since PayPal’s early days. We can now use contactless payments for most things using our cash cards and even our phones. We can send money at the flick of an app, which means smaller businesses which would have been affected by cash-flow issues before, are now as able to buy and sell as larger corporations. The rise of cryptocurrency adds another facet to digital payment technology and no doubt will change the way we look at not just how we pay for things, but what we use to pay for things. PayPal’s purchase of iZettle is merely a glimpse into the future of what could be done with digital financial technology. Try $2.2 Billion, not million.